Aston Martin looks all set to throw its hat into the electric car ring in the shape of an impressive new version of the Rapide. The company wants to bring an all-electric version of the four door to the market in the next two years and it will feature all-wheel drive, 800hp and a 200 mile range that is all sure to prick up the ears of Elon Musk and the guys over at Tesla. CEO Andy Palmer, talking to Automotive News, hinted at the price falling somewhere between the $200,000 (£127,623) and $250,000 (£159,528) mark, which considering the petrol powered Rapide starts at $207,820 (£132,613) sounds about right. Aston Martin is getting the batteries for the car from an “established supplier” like LG or Samsung but not Panasonic, according to Palmer. 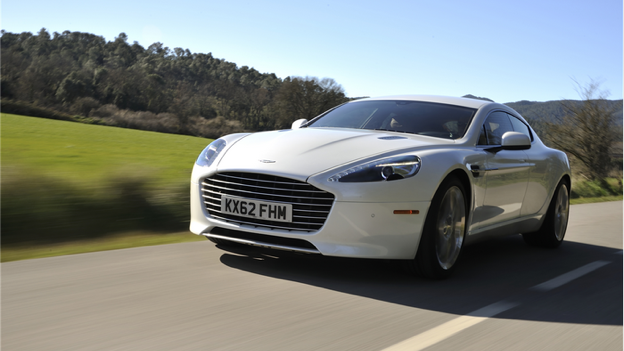 Production numbers are expected to be in the hundreds per year and none of the components inside the Rapide will make it to Mercedes vehicles, despite it owning 5% of Aston Martin. Anyone expecting to find a Tesla-esque 'Ludicrous mode' option in the Rapide will be disappointed, Palmer describing the 0-60mph in 2.8 seconds mode as “stupid”. Aston's electric plans don't end there. Once the Rapide EV is in the shops, an all-electric DBX will roll off the production line at some point in the near future with a plug-in hybrid version in 2019 before the all-electric version arrives at a later date.